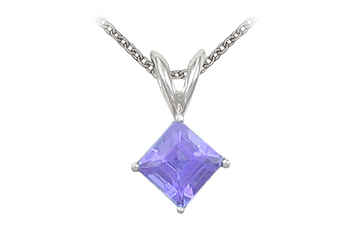 ›Square Cut Created Tanzanite Pendant Necklace in Sterling Silver. 1ct.tw. Square Cut Created Tanzanite Pendant Necklace in Sterling Silver. 1ct.tw.